In 2018, the Felician Sisters sponsored their 5th annual Seeds of Hope Youth Leadership Experience, a unique, week-long leadership program for young women entering their sophomore or junior year in a Felician-sponsored high school or a high school with a strong Felician influence. 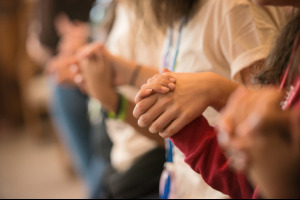 Held at the Maryville Retreat Center on Lake Elliott in Holly, Michigan, Seeds of Hope seeks to cultivate the leadership potential of young women, in the hopes of encouraging them to be the “seeds of change” in their own communities. The Seeds of Hope experience extends far beyond the week spent together during the summer. Participants return home with a plan for implementing a service project in their respective schools. 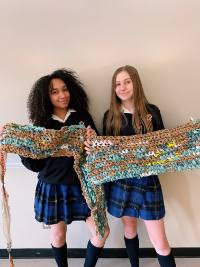 Last year, after spending a day of service providing outreach to the homeless and marginalized populations of Detroit, the girls developed a plan to create sleeping mats for shelters by crocheting “plarn” (yarn made of repurposed plastic shopping bags). Now, over nine months later, the students are still hard at work putting their plans into action. They have garnered support from their peers, teachers, parents, and the community to help them create and distribute the mats to shelters across the continent. At Bishop George Ahr High School in Edison, NJ, Seeds of Hope alumnus Julia Villanueva demonstrated the process of making plarn to her school community at the STEAM Maker’s Space Fair. According to Campus Minister Sister Cynthia Marie Babyak, Julia’s booth attracted the attention of several students who plan to participate in monthly after-school planning sessions. Julia’s goal is to create 10 mats, which they plan to give to the Trenton Area Soup Kitchen (TASK). 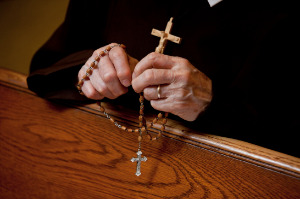 Students from Holy Name of Mary College School in Mississauga, Ontario, are creating mats for a Toronto shelter, and students from Pomona Catholic in Pomona, CA; St. Augustine High School in Laredo, TX; and Immaculate Conception High School in Lodi, NJ, are working on their projects as well. Click here for more photos of the Seeds of Hope participants working on their plarn mat projects at their schools. Limited spaces are still available for the 2019 Seeds of Hope program to be held June 16-22. 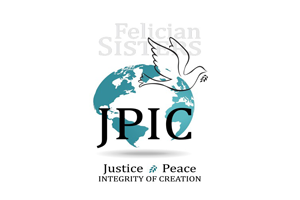 If you would like more information, please contact Caroline Stanfill at cstanfill@feliciansisters.org or 724-650-7936.